How to Choose What Nootropics to Take: For Beginners. Try the 3rd Stack Template First. Nootropics for diabetes? 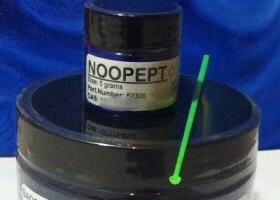 Noopept might work. The statements made on and within this Website have NOT been reviewed or evaluated by the Food and Drug Administration. The products, supplements, and services mentioned on this Website are not intended to diagnose, treat, cure, alleviate or prevent any diseases. All content on this Website is the opinion of the author who does not claim or profess to be a medical professional providing medical advice. Although efforts are made to keep the medical information on the Website updated, the author cannot guarantee that the information on the Website reflects the most up-to-date research. This Website is strictly for the purposes of 1) entertainment and 2) providing opinions of the author. You should consult with your doctor or another qualified health care professional before you start taking any dietary supplements, exercise, or engage in mental health programs. Use common sense before doing anything that you think might have a lasting impact on your brain. Any and all trademarks, logos brand names and service marks displayed on this Website are the registered or unregistered Trademarks of their respective owners. Trust very little and verify everything. Your health is your responsibility.